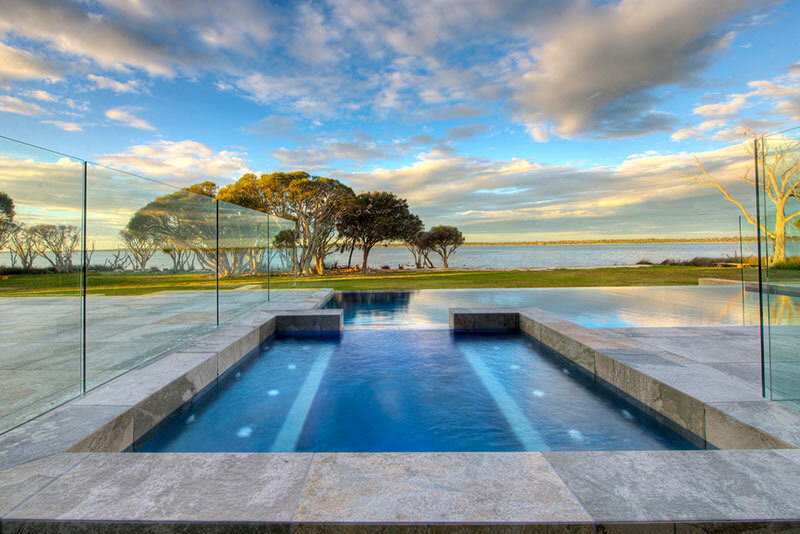 The stunning landscape perfectly frames this infinity edge pool and spa combination. 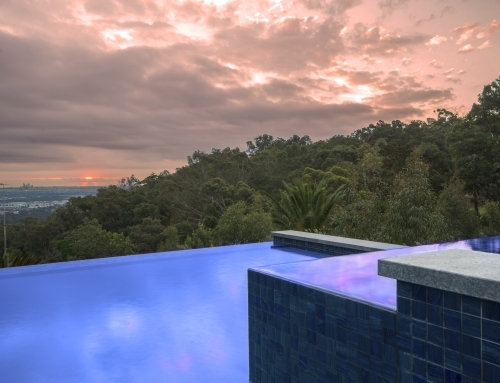 The infinity edge captures your attention with the seamless transition between the swimming pool and the beautiful landscape beyond. 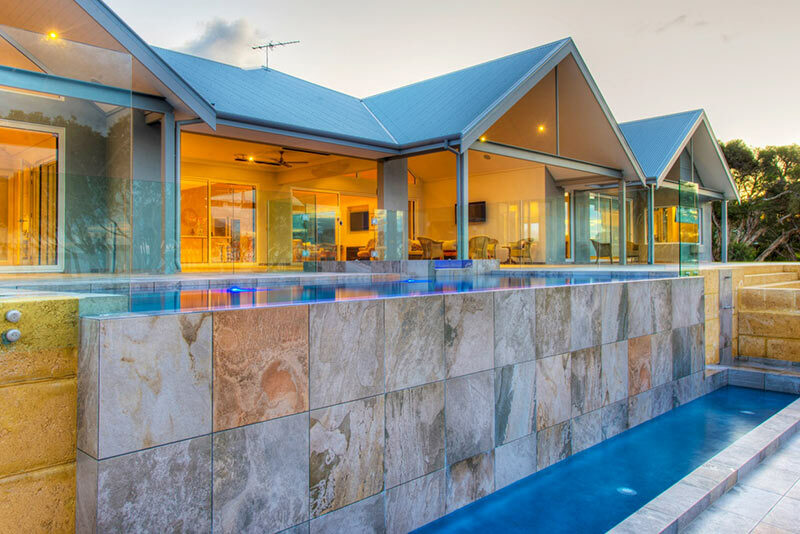 Choosing a natural stone stone for the pool surrounds and spillover face enhance and complement the natural setting. 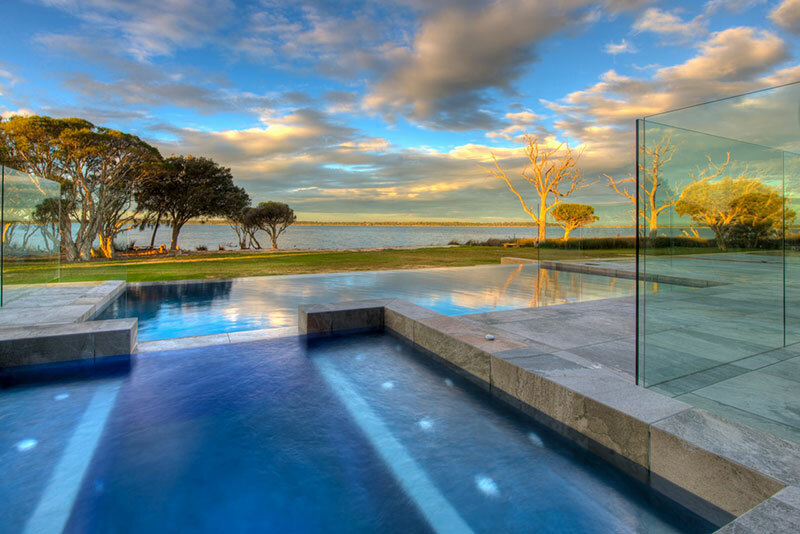 The pool has an elevated position and was designed to reduce the needs for full perimeter fencing, creating an uninterrupted view toward the picturesque estuary. 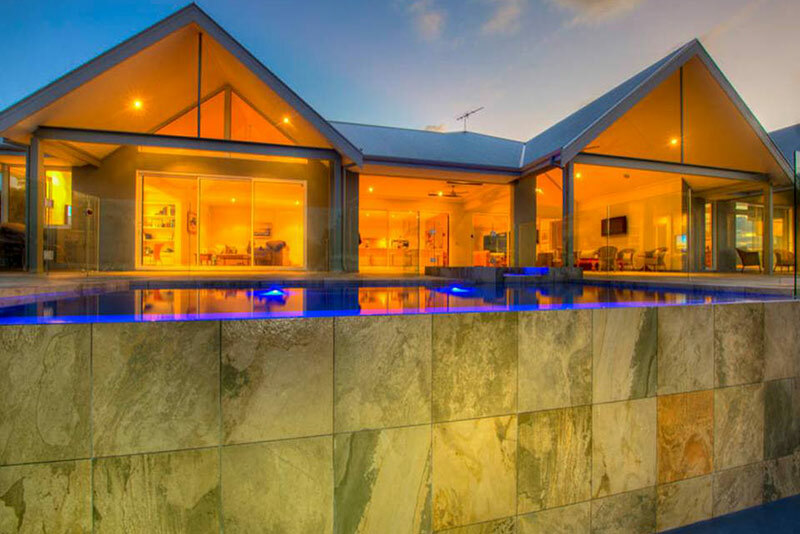 A powerful badu swim jet system transforms this pool into a virtually endless lap pool for our client to maintain their active lifestyle. 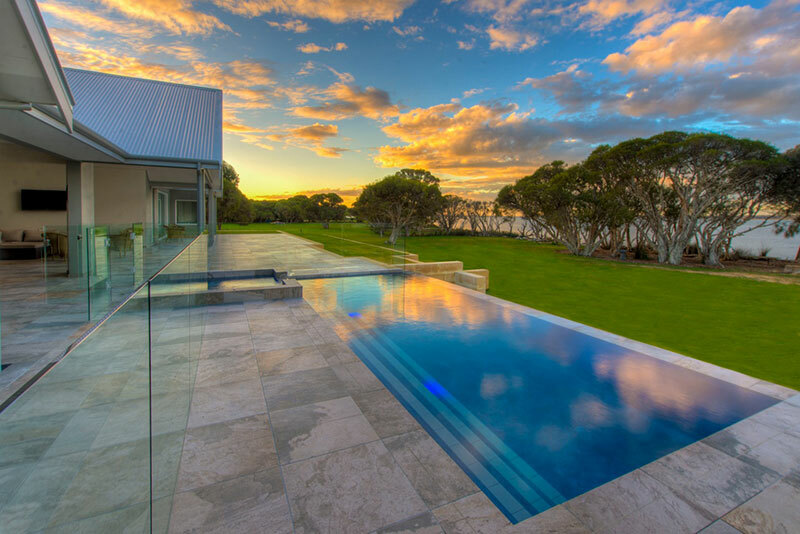 This Pool was the Gold award winner for Pools by Design at the prestigious 2014 SPASA WA Awards.